Tulips, prayer plant, snake plant, arrowhead plant, golden pothos, spider plant, philodendrons, are great indoor air purifying plants. You will find these plants in supermarkets, offices and buildings. Tulips are good for cleaning the air and have been shown to remove formaldehyde, xylene and ammonia from the atmosphere. Place the plant in bright indirect light. The tulip is a popular seasonal flowering plant which produces beautiful flowers. But the life of plant and flowers is limited. Plant the Tulips bulbs in a free-draining potting soil. Keep soil evenly moist and never allow to dry out. Bulbs are poisonous when eaten. Philadendrons are workhorse for detoxyfying all kinds of VOCs particularly formaldehyde and airborne allergens such as mold and animal feces. Philodendrons prefer a partial shade. Place the plant in Living room. 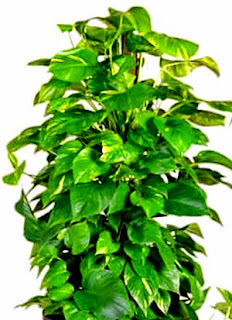 There are many Philodendrons that are grown as ornamental and indoor plants. 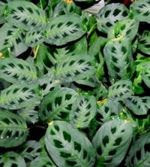 The popular philadendrons are the Heartleaf philodendron (Philodendron scandens oxycardium), Elephant Ear Philodendron (Philodendron domesticum) or Spadeleaf Philodendron (Philodendron hastatum) or Burgundy Philodendron, Fiddle-leaf philodendron (Philodendron bipennifolium) or Panda plant (Philodendron panduriforme), Split Leaf Philodendron (Monstera deliciosa), the Red Emerald Philodendron (Philodendron erubescens, Rating: 6) and Lacy Tree Philodendron (Philodendron selloum). The elephant Ear palnt has heart shape leaves of more than 12 inch in size. The Fiddle-leaf philodendron has violin-shape leaves up to 10 inches long. 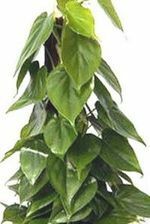 The philodendrons do not have a single type of leaf on the same plant. Their juvenile leaves and adult leaves can be drastically different from one another. Philodendrona grow well in most indoor light conditions at normal room temperature. Allow the soil surface to dry between watering. Philadendrons are poisonous, so keep out of reach of children and animals. This plant eliminates benzene, carbon monoxide, formaldehyde and trichloroethylene from air. 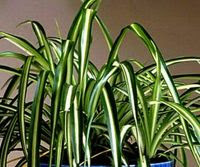 The Spider plant needs semi-sun to shade light, however, it can tolerate low light. This plant is ideal for hanging baskets. It produces mall white flowers at the end of aerial runners. This is a easy-to-care plant. It thrives under any conditions. It removes formaldehyde and cigarette smoke from air. It is known as Money Plant in India or Silver Vine or Devil’s Ivy. It is very common in houses with several variations of attractive leaves with white, yellow or light green colour. 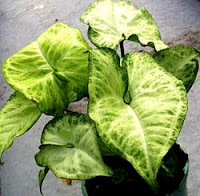 It is similar to Marble Queen Pothos. Place this plant in Living rooms. It can withstand different lighting conditions, but prefers medium to high light to maintain variegation, so avoid low light. It is one of the easiest houseplants to grow. Another air purifying plant is Syngonium Arrowhead Plant which is also known as the Goose-foot Plant or the American evergreen Plant. The plant is a creeper whose leaves vary in shape, size and colour of green with white markings or bronz-green with pink tones depending on the variety and the light they receive. Place the plant in low light area, it does not tolerate direct sunlight. read on how to grow and care arrowhead plant. The plant, when eaten, is poisonous. The wax plant is efficient in filtering out benzene and chemicals produced by some waxes and adhesives. Place the Wax begonia in the brightest side of the room. 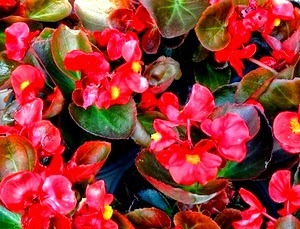 Begonias produce red, white or pink flowers almost all the time of the year, but more during the summer. The plant is easy to care. It needs fast-draining soil. Water the plant when the soil dries. 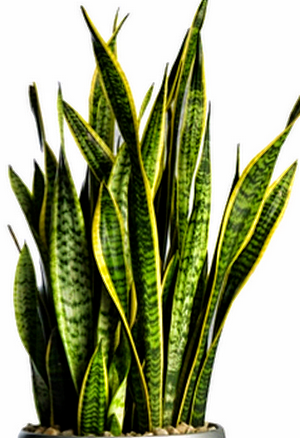 The Snake plant, also known as Mother-in-Law's Tongue is good at clearing formaldehyde and nitrogen oxide produced by fuel-burning appliances in kitchen, gas heater and rooms with wood stoves. 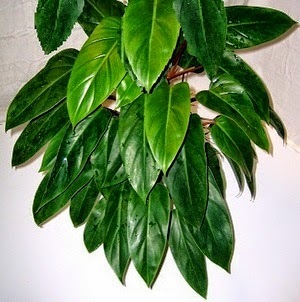 It produces oxygen and removes carbon dioxide during night so it is ideal for bedrooms.Place the plant in bedroom. Semi-sun to semi-shade to shade, although it grows well in a range of lighting conditions. The plant is poisonous to the pets. 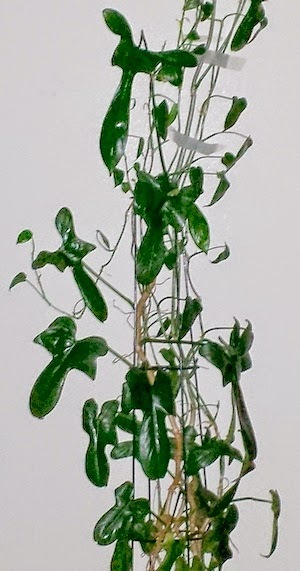 The Prayer plant is also known as Peacock Plant. It cleans the toxins from the air. The green leaves fold upwards to conserve moisture in darkness looking like hands in prayer, so it is called a Prayer plant. 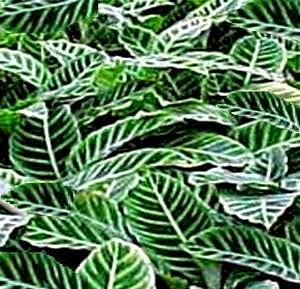 The prayer plant opens its leaves in the daytime and folds them up in the night. Place the plant in semi-sun to semi-shade. The Prayer Plant can be placed in any spot that does not fluctuate in temperature too much, may be in humid kitchen. This is a easy plant that does not require any special care. Do not allow the plant to dry out during the growth season. Calathea plant is known as Zebra Plat or Prayer Plant or Cathedral Windows. Place the plant in bright light. Do not tolerate dry air. These plants are very decorative and showy. They displays vivid shades of green and maroon. Plant in a potting mix with peat moss. Keep the soil moist at all times. If the leaves turn yellow, it means the room is too dry. The plant is sensitive to chemicals present in water.